Another of our awesome neighbours at Fargo hosts regular film clubs at ours and we thought it was important you guys got to know about him – so here he is! 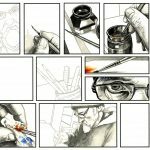 ‘I’m Al Davison, I create comics for a living. I have produced work for Dark Horse Comics and DC Comics Vertigo line, amongst others, as well as having my own imprint. I have drawn John Constantine: Hellblazer, written and drawn The Dreaming, which was a spin-off from Neil Gaiman’s Sandman series, drawn The Unwritten, Doctor Who, and many other titles. I’m probably best known for my graphic autobiography The Spiral Cage, which we hope to have back in print soon. I’m now based at Fargo Village in Coventry where I have my studio and a comic shop: The Astral Gypsy, which I run with my wife Maggie. 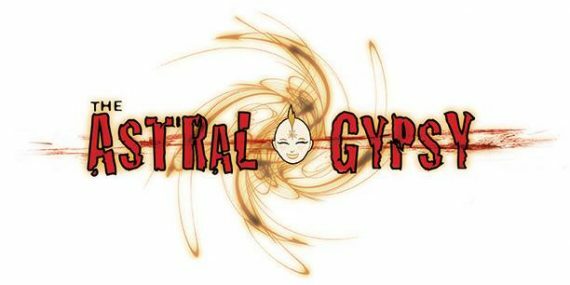 The Astral Gypsy sells comic books, graphic novels, manga and graphic art materials, we offer 15% discount to students on everything. We also have an ongoing collaboration with the lovely people at Urban, and Sgt Bilko’s Vintage Emporium, hosting free film nights. Urban provide the venue with drinks and food available on the night. The last Thursday of the month is hosted by myself. All our films have a comic book connection, whether it’s an adaptation of a comic, a film by a comic creator, or a film that has been adapted into a comic. We try to show the rare and quirky, as well as more mainstream films from all around the world. Urban are also introducing Saturday Night Specials, occasional special movie nights, supported by us. I am currently working on a sequel to Spiral Cage: Muscle Memory. I don’t have a publisher for this yet, and we are funding the completion of the work via Patreon.Take a look if you think you might like to support the project. You can read the first few chapters for free here (NSFW). On Facebook as The Astral Gypsy, Coventry and The Astral Gypsy’s Playground.